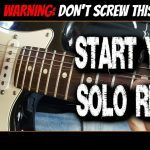 In this BB King quick licks lesson you’ll learn a cool minor blues lick like something BB plays in ‘The Thrill Is Gone’. It’s typical of many BB King’s licks with it’s use of space, economy of notes and the sliding blues scale. Check out the recording of ‘The Thrill Is Gone’ to hear BB play licks like this and to get an overall picture of the classic BB King guitar style. 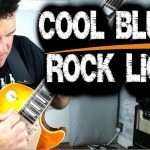 Check out the other BB King licks in this video series too. Enjoy!